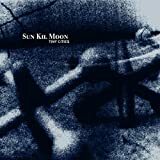 Sun Kil Moon Albums, Songs, Lyrics And More at SongMeanings! After dissolving his previous band, Red House Painters, singer/songwriter Mark Kozelek resurfaced with Sun Kil Moon, refining and expanding the luminous acoustic balladry and harrowingly intimate lyricism that were the hallmarks of his career to date. Born in Massillon, Ohio, in 1967, Kozelek formed his first band, God Forbid, while in his teens. Upon relocating to Atlanta, he struck up a friendship with drummer Anthony Koutsos, and together they formed the first incarnation of Red House Painters. A move to San Francisco followed, where guitarist Gorden Mack and bassist Jerry Vessel rounded out the group's roster. While performing on the Bay Area club circuit, the quartet came to the attention of American Music Club frontman Mark Eitzel, who often cited Red House Painters as his favorite band; through Eitzel, RHP's demo tape made its way to the London offices of 4AD Records, which signed the group and in 1992 issued the unvarnished demos -- a striking collection of Spartan, atmospheric melodies lurking behind Kozelek's ghostly vocals -- as the LP Down Colorful Hill. Subsequent efforts, highlighted by a pair of eponymous albums released back to back in 1993, established Kozelek as a writer of stunning emotional depth, unflinchingly detailing his erratic, abusive nature and troubled background. But relations with 4AD grew strained, and when Kozelek began work on a long-rumored solo album in the wake of 1995's radiant Ocean Beach, the label terminated Red House Painters' contract. Although none of Kozelek's bandmates appeared on the completed LP, the solo disc Songs for a Blue Guitar was instead issued under the RHP banner when it appeared on Island's Supreme imprint in 1996. The group reunited in late 1997 for one final album, Old Ramon, but the Polygram/Universal merger spelled Supreme's end, and the completed LP was indefinitely shelved. Kozelek soon began work assembling and producing Take Me Home: A Tribute to John Denver, an all-star cover record celebrating the life and music of the late folkie, and in 2000 issued his first proper solo effort, Rock 'n' Roll Singer, a curious yet compelling patchwork highlighted by three Bon Scott-era AC/DC covers. Perhaps most surprising, Kozelek also co-starred in filmmaker Cameron Crowe's 2000 release Almost Famous, playing Larry Fellows, bassist for the fictional '70s hard rock band Stillwater. After securing the rights to Old Ramon, Kozelek licensed the album to Sub Pop for release in the spring of 2001. Later that same year, the label also issued his limited-edition solo set White Christmas Live. In early 2002, Kozelek assembled Sun Kil Moon with former Red House Painter Anthony Koutsos, Black Lab bassist Geoff Stanfield, and erstwhile American Music Club drummer Tim Mooney. 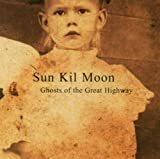 Their debut LP, Ghosts of the Great Highway, appeared to wide critical acclaim in late 2003, and Kozelek assembled a new touring band to support its release, spending the better part of 2004 on the road. He also continued his film career, again playing a fictional musician in the 2005 big-screen adaptation of Steve Martin's comedic novella Shopgirl. That summer, Kozelek joined with Low's Alan Sparhawk in the classic rock cover band the Retribution Gospel Choir, issuing a tour-only EP in advance of the second Sun Kil Moon album, the much maligned Tiny Cities, a collection of covers by indie rock band Modest Mouse. The album was the first released on Kozelek's own Caldo Verde label. April, featuring guest vocals from Will Oldham and Ben Gibbard, followed in 2008. Kozelek switched it up again for 2010's Admiral Fell Promises; he recorded ten new songs accompanied only by a nylon-stringed guitar as accompaniment. The like-minded Among the Leaves, Kozelek's fifth outing under the moniker, arrived in 2012.